The leader of Iraq’s Chaldean church lambasted the U.S. Wednesday over what he says are unfulfilled promises of aid to rebuild ancestral Christian homes. 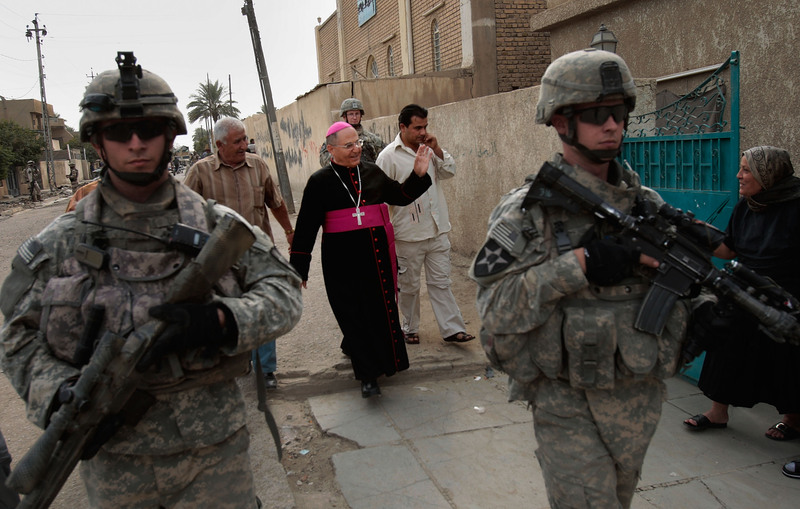 Green asserted that the U.S. has sent aid to Iraq’s Christians through 36 faith-based organizations, 11 local faith organizations, and 27 international organizations, and had specifically partnered with the Knights of Columbus to prioritize the communities most in need of aid. Such funding is intended to help preserve Iraqi Christian heritage, rebuild areas decimated by ISIS, and prevent further attacks on Iraqi Christians. The U.S. State Department also announced that $178 million had been allocated as aid to Iraq’s Christians. Green gave as an example of concrete results from such funding the repair of homes and wells in the town of Bashiqa in the Nineveh Plains, as well as the financing of medical units and greater security for schools in the region. The U.S.’s allocation of funds intended for aid, however, is still a far cry from their actual materialization in Iraq — a difference that was highlighted by Iraqi Christian leaders in 2017. Iraqi Catholic leaders said then that, though Congress had approved aid for them, none of it had materialized while the U.S. instead approved and sent $32 million to Rohingya Muslims facing genocide in Burma. Sako also claimed that the U.S. invasion of Iraq had directly contributed to Iraqi Christians’ exodus from their ancestral lands, given that the power vacuum left afterward allowed for the rise of ISIS.